Our specialization lies in the supplying and exporting of a wide range of Medium All Geared Lathe Machine that is reckoned for its simple setup, good tolerances, high tensile strength and durability. Available in standard and customized configurations, these Medium All Geared Lathe Machine are offered to our clients as per their specification. Spindle bore: 63.5 mm / 2.5" and 80 mm / 3.125"
- Cross Slide Travel – 248 mm, Lead Screw TPI - 32.4 TPI, Power Required - 1.5. H.P. 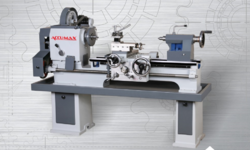 Veerakumar Machine Tools is a Dealer for leading Lathe Manufacturers ACME, Minar and Pargco. We supply with 1 year warranty. We supply lathe machines ranging from 4.5' - 52'. 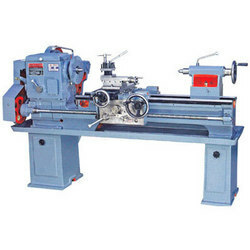 We supply the following kinds of Lathe machines.